When I first met Christine & Cyrill my first impression was that they are such a sweet and easy-going couple, that their wedding day will be nothing but pure fun. Cyrill was cracking jokes all the time making Christine smiling and laughing during both our meetings. During the initial meeting, as a wedding photographer, I want to learn about my couples as much as possible to understand what is important for them, what they expect from me and what their vision is. For Christine and Cyrill, it was both important to capture a lot of candid, spontaneous moments as well as a creating romantic couple shoots in elegant Old Mill, Toronto interiors. There are always going to be days that are important in every couple’s history together. These days might seem ordinary for everyone else, but for this couple the dates hold special meaning that only they appreciate. For Christine and Cyril February 23 is one of these days. 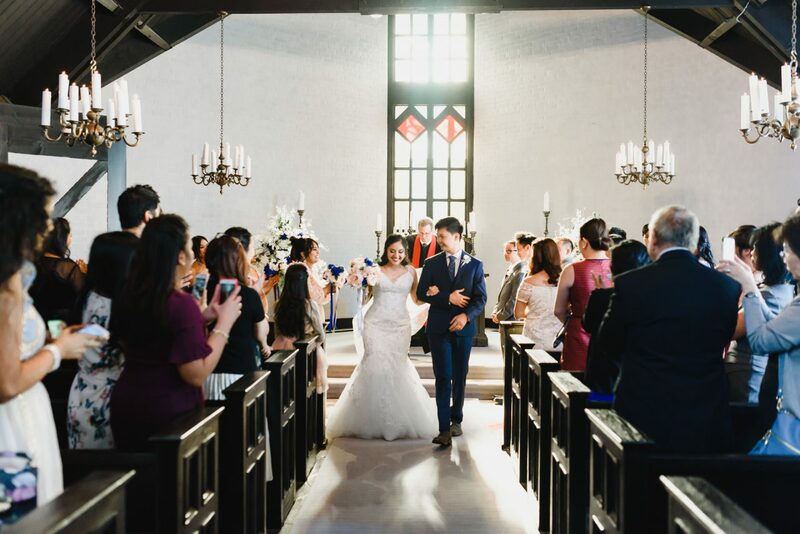 Up until now, it represented their anniversary as a couple, but now it’s a celebration of the day they were able to express their love to each other in front of their friends and family. Starting the wedding day surrounded by family, the bride was able to get ready with her six bridesmaids and closest female relatives. Christine enjoyed her time bonding with those closest to her on the day that means the most to her where she gets to celebrate her love in front of everyone. Once the bridal party was ready they made their way down to the Old Mill’s 16th-century candlelit wedding chapel where they would be married. 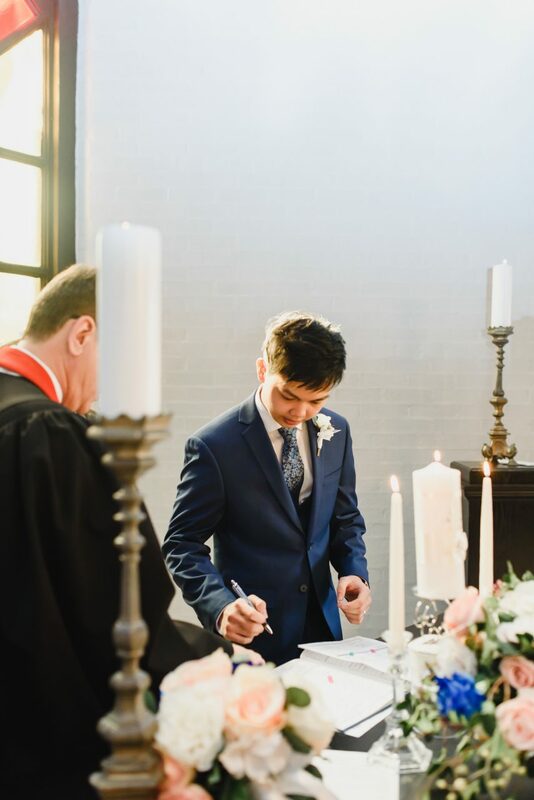 Sun going through the stained glass windows, candles chandleries, white walls contrasting with dark wood elements, and finally the organist and the chaplain created such an intimate and romantic mood, that I was so much in love with this perfect ceremony. After Christine and Cyril were pronounced married, we have the opportunity to take photos with the couple and the wedding party while the guests headed towards the reception space. The pictures perfectly captured the love and friendship these two have for each other, as well as the support of their family and friends surrounding them. 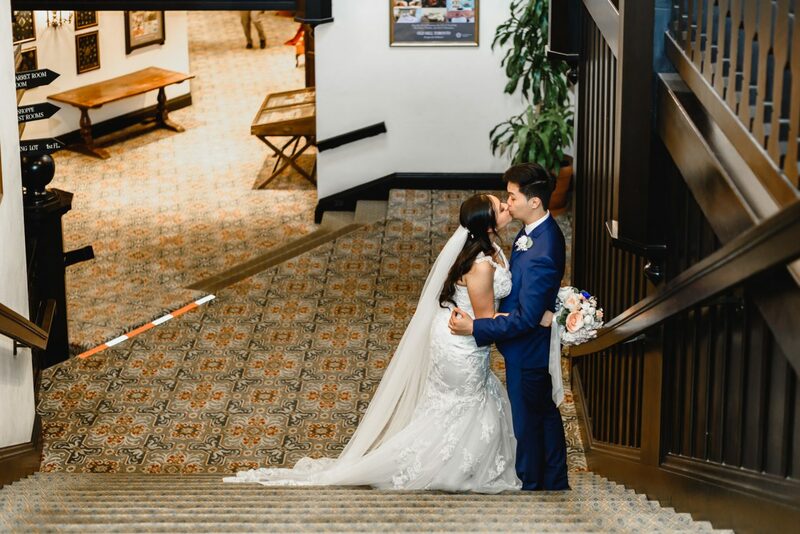 Following the wedding photo shoot, the couple made their way to the Brule Room where they had their grand entrance leading into their first dance as a married couple. For their first dance they selected You Look so Beautiful in White by West Life. During their reception they had speeches made by friends and family, expressing their best wishes for a happy life together as a married couple. Christine’s brother said during the speech: ” When I met Cyrill for the first time, I knew that it is a big deal”. Indeed it was! They also had a live performance by Sarah Jessica Robes during the reception. During the reception the couple participated in a money dance. This is a Filipino tradition where the guests pin money on the couple as they dance around. The money is a gift for the couple so they can have a nice start to their life together. Towards the end of the night, the couple cut the cake, and the bride tossed the bouquet for all the single women to try to catch. 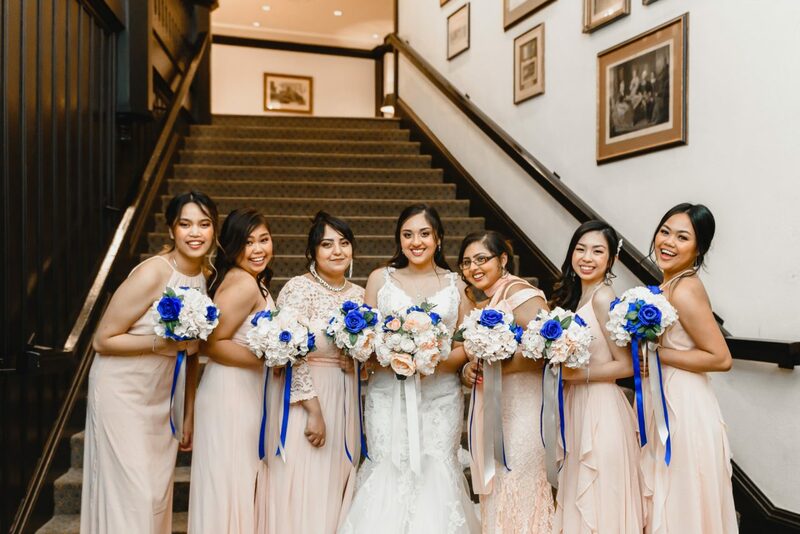 This unique wedding was a great blend of their Filipino traditions and the more western wedding activities many are used to like throwing the bouquet. We had a great time capturing their special day and love that we can provide pictures they’ll be proud to show off for years to come as they remember this day.